Greece has all the resources, technology and will, to become independent from the wider world and rely solely on its natural resources to form a resource based economy. The basic needs of every citizen could be met with an 8 hour working week with a retirement age of under 45. The needs of a society include power, food, and healthcare. The majority of power would come from solar energy, with food supplied by abundant oceans, advanced hydroponics and vertical farming. It is difficult to imagine how any industrialized society, so rooted in Globalism, could possibly make this switch so quickly. Just the necessary societal restructuring and infrastructure modifications would require a level of cooperation and acceptance from the people that is unprecedented. Whatever change happens in Greece it is clear that it will not happen overnight. Which way out or no way out? The difficulties caused by monetary system in Greece has a humanitarian side into it which we are concerned about. A ‘no’ EU deal is a defiant step towards uncertainty and potential chaos. Greece has a virtually collapsed economy. A ‘no’ EU deal will mean that the citizens will courageously bear the brunt of the collapse they did not cause. When services cease and pensions are not paid, it is the most vulnerable who feel the impact immediately. Those with the means would be able to leave. Moving to a resource based economy will not necessarily prevent hardship in the short term, but neither would it exacerbate it. The ultimate question is whether there is enough commitment from the average citizen to support such a radical move. Does a society deeply entrenched in capitalist dogma have the ability to make such a huge change in a short period of time? Imagine if there was a place like described in this video, that could display a much higher quality of life based on an RBE system. Would that not then set up a strong living example for other cities and nations to look up to? Greece’s economy is set to tumble as the country is bankrupt with almost nothing with which to negotiate. It is unlikely that the creditors will forfeit from such a strong position. If Greece simply walks away from their debt, any subsequent recovery in the country would threaten the foundation upon which banks rule the world. The illusion of the monetary system would be exposed by Greece’s success under another system. Once the veil is lifted, and the fraud exposed, the possibilities of its total collapse draw closer. In order to maintain the status quo of capitalism and the current banking system, Greece cannot be let out of their debt so easily. This is an unprecedented opportunity for a county with nowhere else to turn to take the radical steps toward a new paradigm. By putting human needs and human kindness over monetary concerns, Greece could take care of its most vulnerable citizens and turn one of the most dire economies in the world into a beacon of hope for the rest of us. 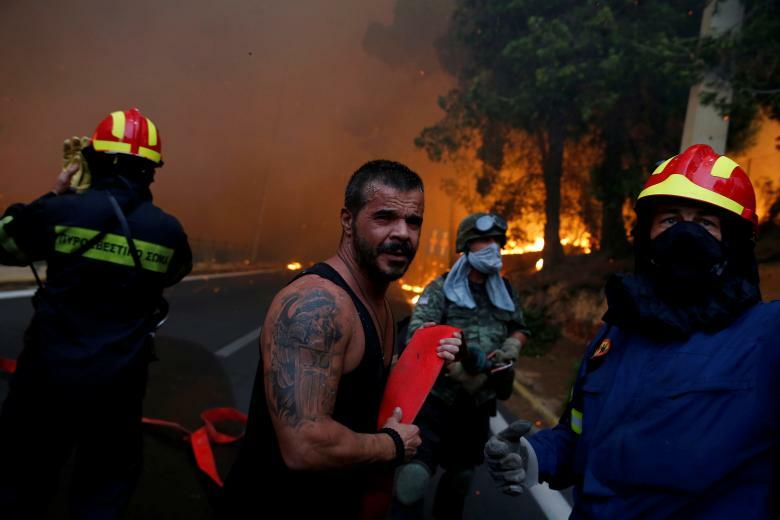 If the citizens of Greece can turn to each other and care for one and all, so can the rest of us. Qetema.org is a group of people who believe in the need for major global changes gather to design and build a new city together. This city will run on a completely sustainable system and is governed by its people.